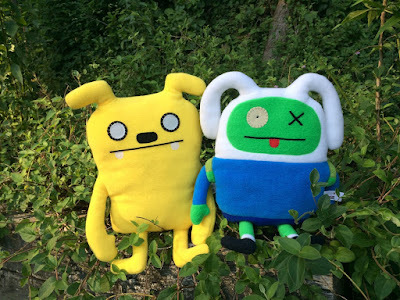 Fans of David Horvath and Sun-Min Kim’s adorable line of Uglydoll plushes will absolutely love these San Diego Comic-Con 2017 Exclusive Adventure Time Uglydolls! What a fantastic collaboration with the Cartoon Network. This official licensed, limited edition series of Uglydolls features Jeero as Jake and Ox as Finn the Dog, and both look spot on to the characters they are cosplaying as. While not much is known about these exclusives, fans can purchase them at the Uglydoll SDCC booth #3245.